Why am I Not Losing Weight on Master Cleanse? The Master Cleanse is a detoxification and weight-loss program based on the book "The Master Cleanser" by author Stanley Burroughs. The program is marketed as a juice fast that's specifically designed to lose weight, while cleansing the body of toxins, helping to restore the body back to optimum health. This diet is also commonly recognized as the lemonade diet. If you have a medical condition, talk with your doctor before beginning the Master Cleanse. The program has three phases: the three-day "ease-in" detoxing period, the 10-day weight-loss lemonade diet and the three-day "ease-out," which reintroduces solid foods back into your regular diet. 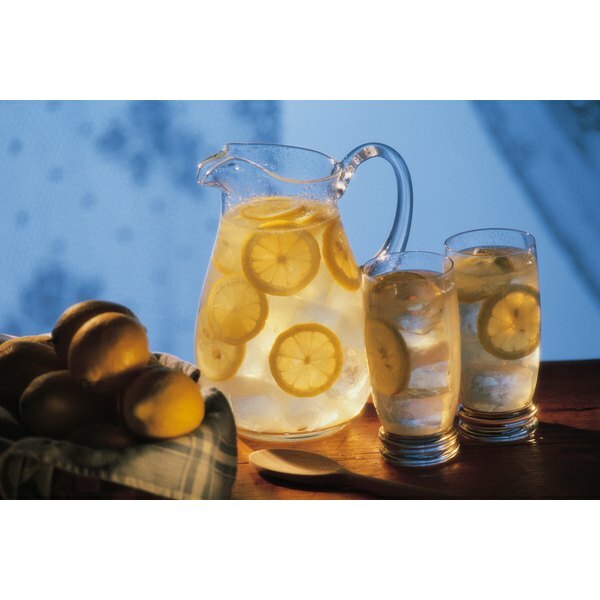 The diet's mainstay is a beverage made from fresh lemon juice, maple syrup, cayenne pepper and pure water. The dieter takes a laxative before bed each night and drinks an optional -- but recommended -- saltwater solution, known as the saltwater flush, each morning. The American diet, filled with chemically altered, high-fat and toxic food, often clogs the body with excess mucus, discourages the intake of crucial nutrients and often leads to obesity and chronic health problems. Proponents of juice fasts suggest that they help cleanse the body of these accumulated, harmful toxins built up by a diet of harmful foods. In addition, you're likely to lose weight because your body will burn more calories than it uses due to the extremely low-calorie intake on the Master Cleanse. Although you may experience initial weight loss during the Master Cleanse, the loss may be temporary because much of it occurs due to fluid loss linked to extremely low-carbohydrate intake plus frequent bowel movements or diarrhea brought about by saltwater and laxative tea. Resuming normal fluid intake may result in weight gain, according to Harvard Medical School. In addition, severe restriction of calories results in a decrease of vital nutrients, including carbohydrates, which could result in low energy and feelings of fatigue. People who suffer from peptic ulcers or acid indigestion could experience discomfort from the cayenne used in the lemon beverage. Think over several safety issues prior to beginning the cleanse. The program's recommendation of daily laxative use could contribute to dehydration, deplete electrolytes and affect normal bowel function. According to Harvard Medical School, a person who adheres to this diet repeatedly runs the risk of disrupting his body's acid-base balance, a condition called metabolic acidosis, which results in excessive blood acidity. Severe metabolic acidosis could lead to coma and death. The cleanse may also disturb microorganisms that perform normal digestive functions.